Every Spring, talented local artists in the Gloucestershire area open their studio doors and welcome in the public to view their art in the place where it was made. The Severn Vale Art Trail is an opportunity to meet artists in person, watch them create their pieces and chat to them about their work. The relaxed atmosphere of the Trail has made it one of Gloucestershire’s most popular annual art exhibitions. Artists and creators show their work in their own homes and studios as well as in small groups in churches, village halls and even in the old local pound. Part of the charm of the Trail is the intimate setting, allowing visitors to see exactly how pieces are created and with plenty of opportunity for discussion with the artists. The biggest draw however is the sheer quality and variety of the art and craft. From nationally recognised award-winning portrait painters to photographers, textile artists, photographers, glass workers, jewellers, potters and even a woodturner, there is always something to appeal to everyone. A regular exhibitor is Thornbury artist Sophie Ploeg. Originally from the Netherlands, Sophie is a portrait painter specialising in reproducing the beauty of lace and other textiles in her work. 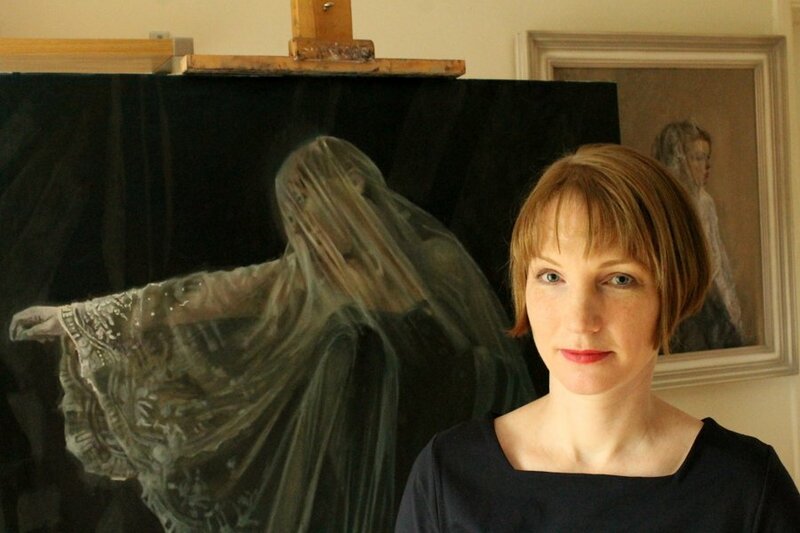 In 2013 Sophie was chosen to exhibit in the BP Portrait Award Exhibition where she won the prestigious BP Travel Award. She used the grant to spend a year researching how lace is represented in early 17th century portraiture in the Netherlands and England. During Art Trail week she opens her home studio to the public and you can watch her work on her latest piece and talk to her about her inspiration. Paintings are also available to buy. For a local flavour, Lorna Page’s detailed, folksy landscapes capture the charm of rural South Gloucestershire. Having lived there all her life, she has an instinct for including the details that speak of the Severn Vale locale. Cottages backed by rolling fields, local churches and castles, pretty village streets and her trademark swallows swooping overhead all evoke the essence of life near the river. Those who like technical accuracy will enjoy George King’s woodturning. As well as wooden vases, candlesticks, bowls and bottles in every type and shade of wood imaginable he has also created some amazing musical instruments, including a trombone, a violin and a working French horn. 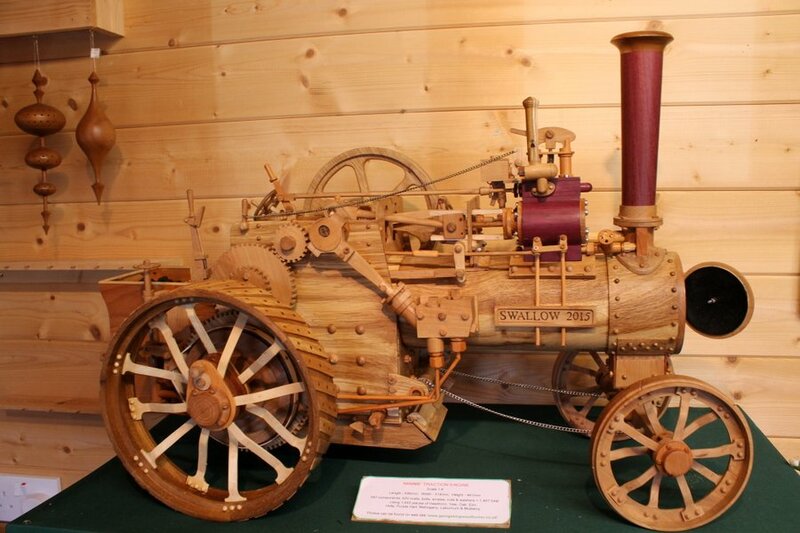 His masterpiece is a working model of a traction engine composed of almost 1,500 individual parts, all hand turned. Around 2’ in length, even sets of the tiniest rivets are made with precision to stud the finished piece. The new Hive Gallery in Thornbury is owned by another Art Trail exhibitor, Honey Pegg. 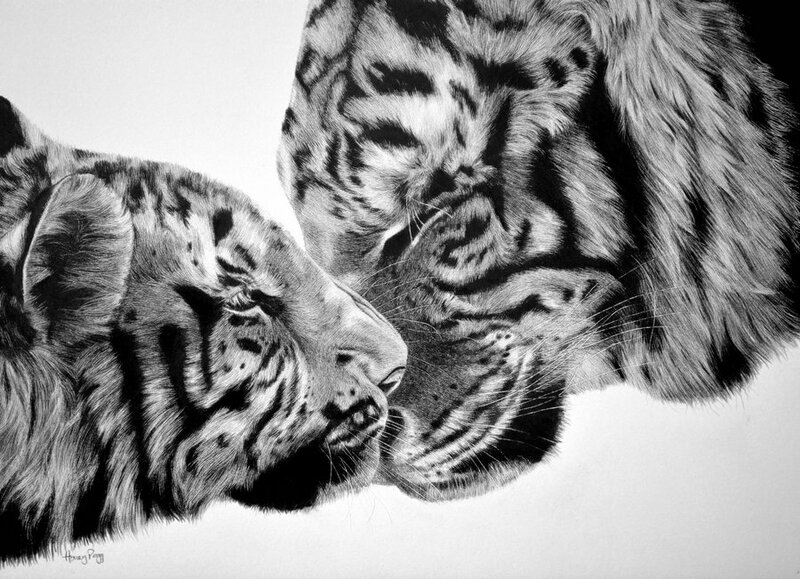 An incredibly talented and versatile artist, Honey’s works include exquisitely detailed pencil drawings of the animal world, silk painted landscapes, natural world inspired glass engravings, wildlife paintings and pyrography. She is well known locally as the landlady of The Wheatsheaf where one of her biggest and most popular works hangs, a portrait of David Bowie made entirely from bottle tops. The Hive is her newest venture, where she sells her own art alongside that of several other local artists. Spread over ten days in May, and run as part of Thornbury Arts Festival, the Severn Vale Art Trail is a great opportunity to see what’s being produced locally and to pick up a unique piece of affordable art. It is uplifting to see an array of such high quality art and craft, often produced in the artist’s home. Many of the artists paint or create part-time or as a second career, and their passion and energy are truly inspirational.